How Much Child Support Am I Entitled To? This month we will begin the first of a two-part discussion about support in California. In this issue we’ll focus on child support which can be collected retroactively and is not optional. While the formula for calculating child support might appear daunting for a non-math person, CS = K[HN – (H%)(TN)], the data inputs are relatively simple: custody time as a percentage for the parents and their net disposable income. As a first step, you must determine the amount of time you spend in charge of your child per week. The Court is interested in hours spent, not days. In other words, which parent will be called to assist with the child in the event of illness or problem at school? On a normal day, it is the parent scheduled to receive the child after school. If you are not the scheduled parent, then the time belongs to the other parent. The calculation commences at pick-up, and ends at drop-off, either at school or to the other parent. It also includes holidays and vacations. There are rules of thumb. For instance, someone who sees their children every other weekend, half of all holidays, and two weeks during the summer has about 19% custody. One way to figure out your custody percentage is to add up all the hours you have the child in a week and divide it by 168. Average the weeks each month. Then average the months at the end of the year. Once you know the custody percentage and the net disposable income for the parties, you can use an online calculator to find out what California Guideline Support should be. 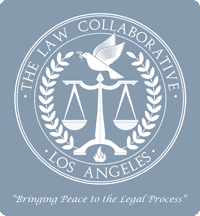 We have a link on our website here: http://www.thelawcollaborative.com/custody-support.htm. If you find that the time factor has changed and the support number needs adjustment, call your attorney immediately. Next month we’ll tackle spousal support or what is commonly called alimony. We are excited to host our Second Saturday Divorce Workshop this Saturday, July 8 at our Woodland Hills Office. This workshop will be beneficial to anyone contemplating divorce or in the middle of a divorce. The workshop is free but reservations are required. Please call our office at (818)348-6700 for more information. We are here to serve you. Part Two of the discussion launched in last month’s newsletter, the calculation of parental Child Custody time, begins with an important first step: determine the average weekly time that your child spends in your care. Use the information from last month to calculate the specific hours. There are 168 hours in each week, 7 days at 24 hours each. There are 52 weeks in each year. 168 x 52 = 8736. Next, add holidays, and those Mondays or Fridays that extend your weeks or weekends (such as Memorial Day). Then calculate vacation time, birthdays, and special days like Mother’s Day or Father’s Day. Don’t forget to account for school closure days and other such events. Total these figures and you should have an accurate estimation of your time/custody percentage. Be certain of your numbers, since miscalculation may cost you additional negotiation, litigation and/or child support payments. If in doubt, review the calculations with your attorney or the paralegal in charge of your case. Summer is officially here, and with it our next Second Saturday Divorce Workshop, which will take place on July 10th at our Woodland Hills Office. California Certified Family Law Specialist, Ronald Supancic, of The Law Collaborative, will address the legal issues in divorce. Irene Smith, Certified Divorce Financial Analyst, will discuss the financial issues associated with divorce. Christine Campisi, Court Mediator, will speak regarding childrens issues in divorce situations. This workshop is beneficial to anyone contemplating divorce, or curious about their options. Pre-registration is $45, or $50 at the door. Breakfast will be served. Please call our office at (888) 852-9961, for registration and additional information, or email IG@TheLawCollaborative.com. Visit Ron and Robert on Divorce on iTunes for additional information.